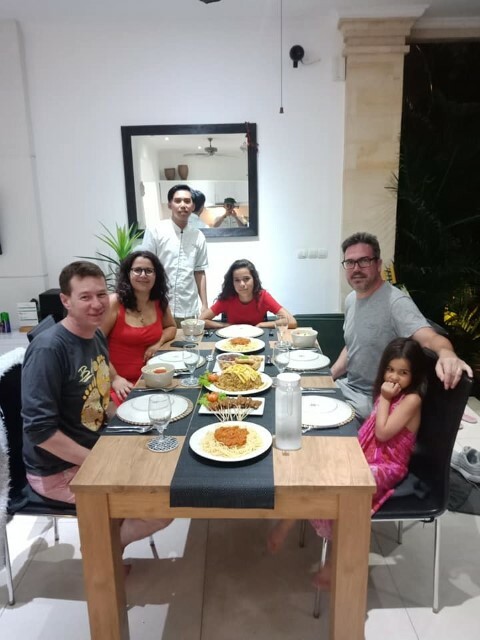 This is our 3 rd visit with Villa Bugis and we stayed in Villa Krishna.Our family of 5 stayed here for 12 nights, it was very peaceful, great staff who cooked a fantastic breakfast every day ( free ) and very close 5 – 10 minutes walk to the best restaurants in Seminyak. 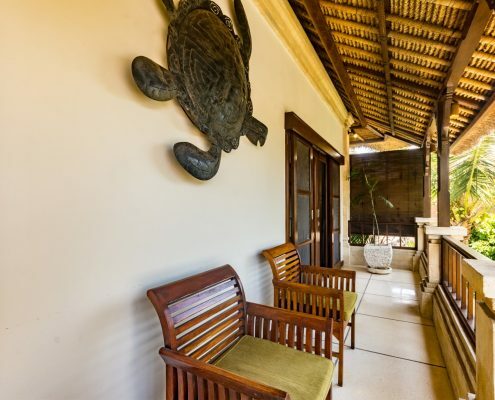 It is in a brilliant location-a short walk to the beach at Ku de Ta & about 150 m from Oberoi Rd where there are numerous fabulous restaurants & shops. The staff at the villa were delightful & the omelettes & fruit salad at breakfast were lovely. 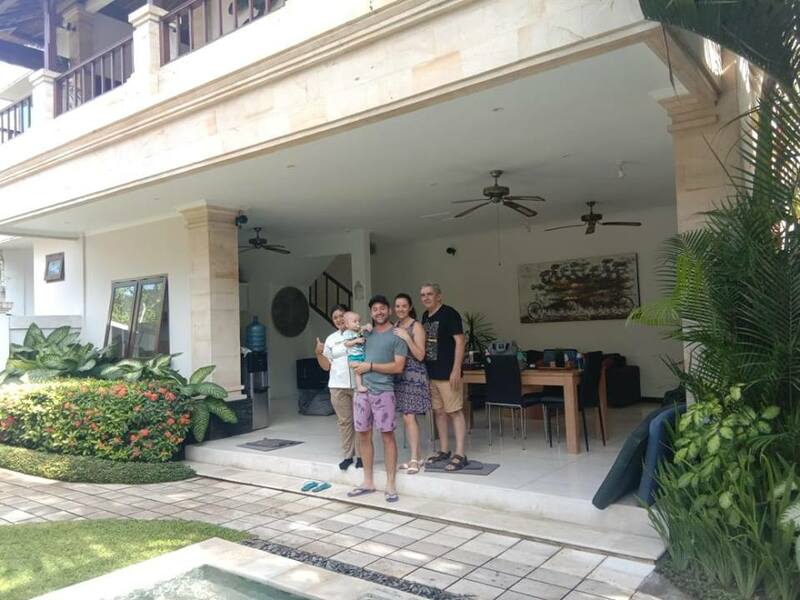 We had a very enjoyable stay at villa krisna. Everyone is so nice, Welcoming & frendly! Thank you for the best holiday ever!!! 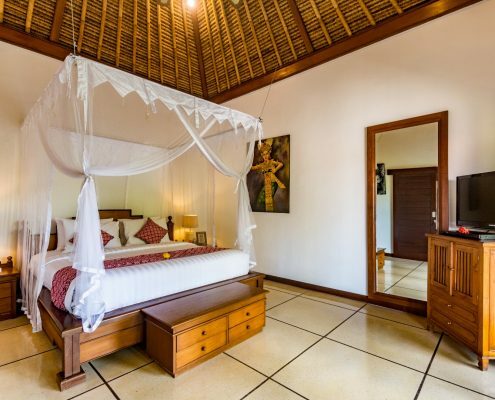 Great stay at villa krisna, we got one extra room. Good service. Will stay again there. 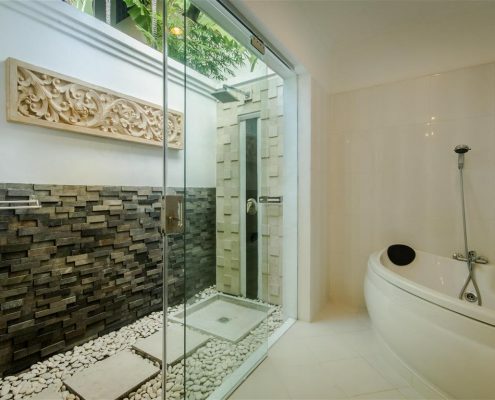 Villa Krisna, one of our private villas Bali Seminyak was recently renovated is designed for privacy. 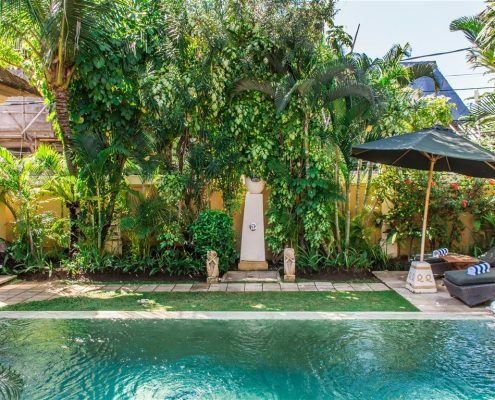 The villa is nestling behind palm covered walls on two sides that provide a back drop to the beautiful tropical garden and pool. 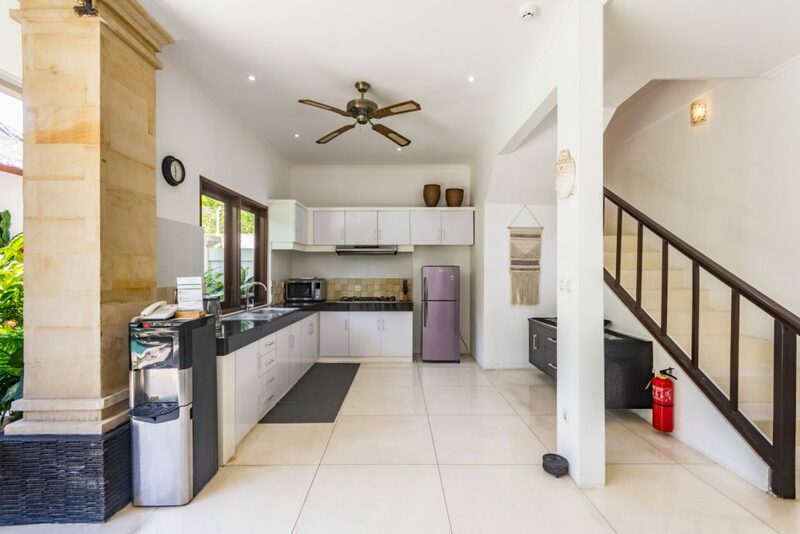 The main two storey building and single storey guesthouse make up the other two sides of the property with the pool and gardens in the centre. 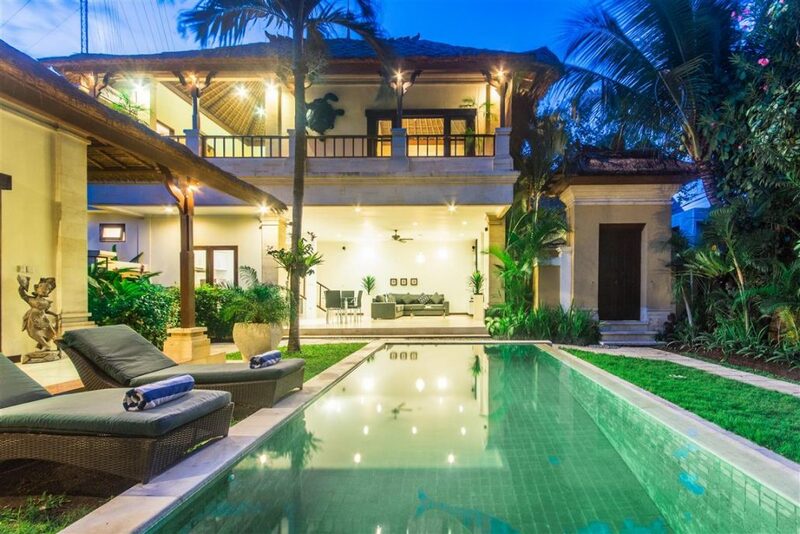 The villa is located in the top location imaginable. Down a lane, it is away, yet just a few minutes’ stroll to bustling Jalan Ayu (Jalan Oberoi) known locally as “Eat Street” where you’ll find a vast array of cafes, warungs and famous restaurants including Ku De Ta, Ultimo, Rumours and Trattoria. 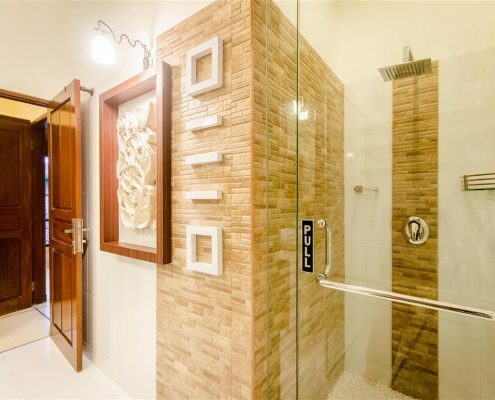 It is a short stroll to the beach where you can walk, laze or enjoy famous sunsets from the range of beach-side bars. 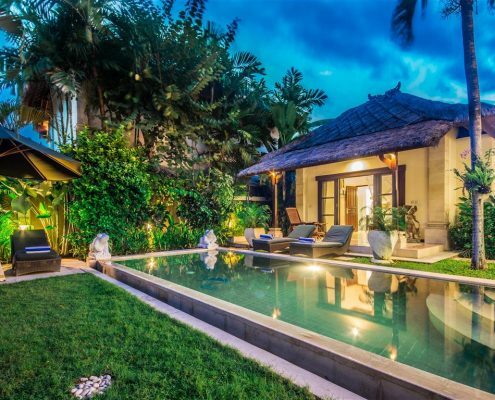 Whether it is enjoying Seminyak’s elegant nightlife, shopping and browsing the galleries or relaxing at one of the many spa and beauty establishments, everything you’ll want to do on your holiday is within walking distance of Villa Krisna. 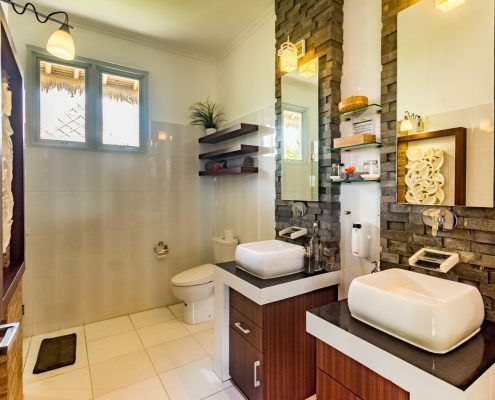 Villa Krisna has been newly renovated and boasts new living area, new kitchen and two beautiful new bathrooms with outdoor showers. 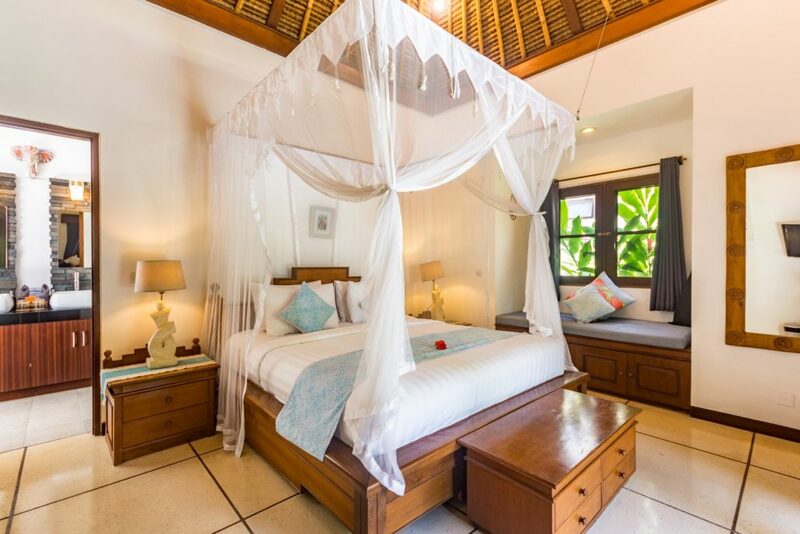 Tastefully decorated with quality furnishings and artworks, Villa Krisna evokes a refined ambience. 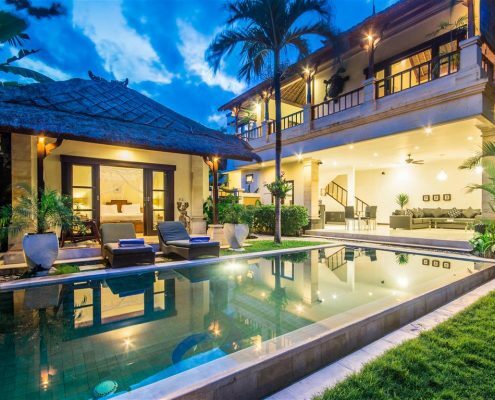 Villa Krisna is laid out on two storeys. 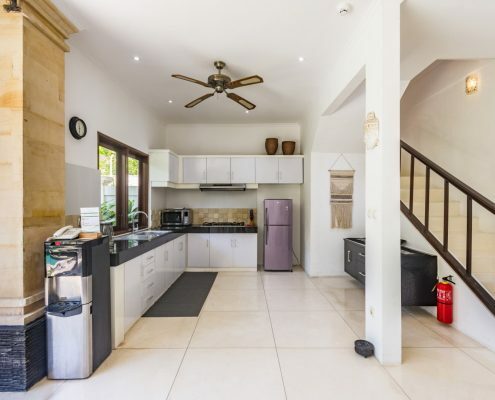 The open-air ground floor comprises a fully-equipped kitchen with a four-ring gas hob, a microwave, a coffee maker, a juicer, a hot and cold water dispenser, a refrigerator and plenty of china, glassware and cutlery. 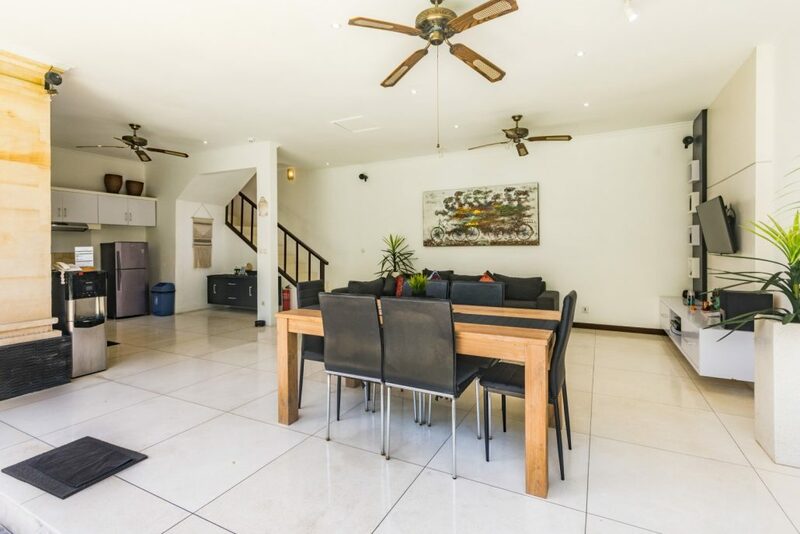 Adjoining is a spacious living area with a big screen television and a stereo system making it great for entertaining guests. 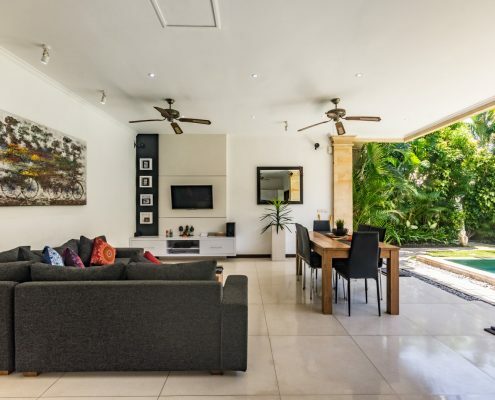 The dining setting is perfect for four adults but if there are an additional two children, a six seat dining setting is readily available on request . 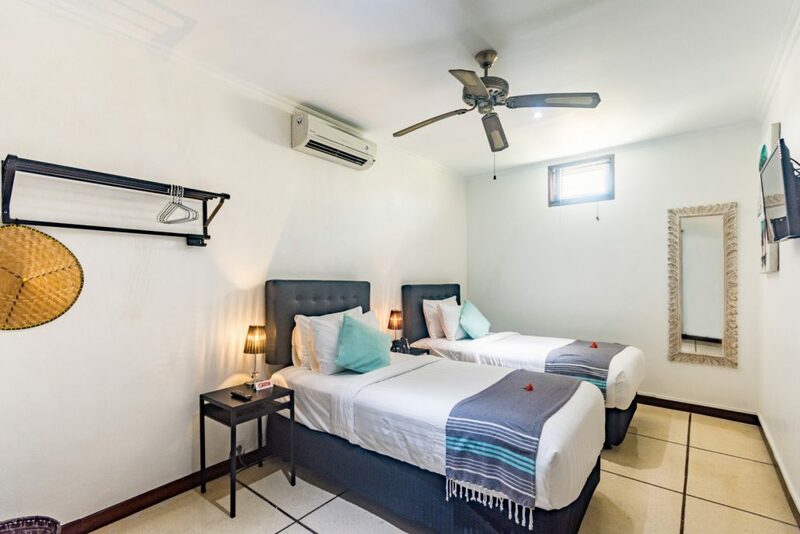 On the second floor is a spacious bedroom with a comfortable king-sized bed, LCD television with 50 channels, DVD player, air-conditioning, a ceiling fan and a safety deposit box. 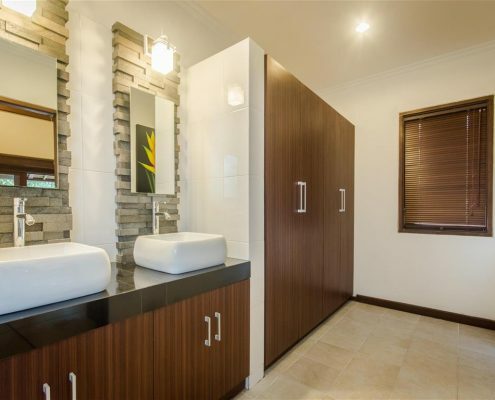 The en-suite bathroom is stocked with exclusive personal effects. 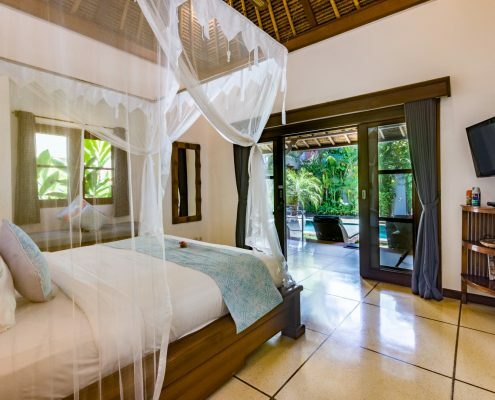 The bedroom has french doors, that open out onto a spacious balcony with comfortable chairs and views of the garden and pool, which make it the perfect place to relax with a drink in one hand and a good book in the other. 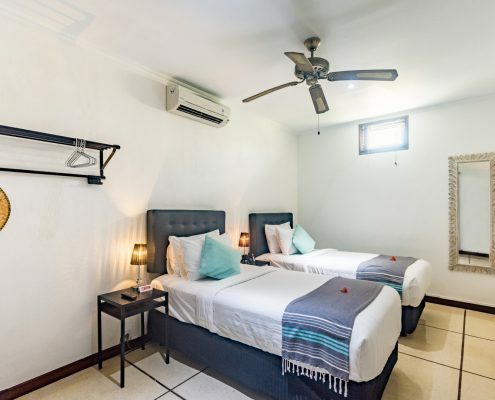 The second floor also has an air-conditioned smaller bedroom, which has two large single beds making it a very comfortable, particularly for children or teenagers wanting their own private room but who can share their parent’s bathroom. This room is charged at a small rate based on the number of children occupying. 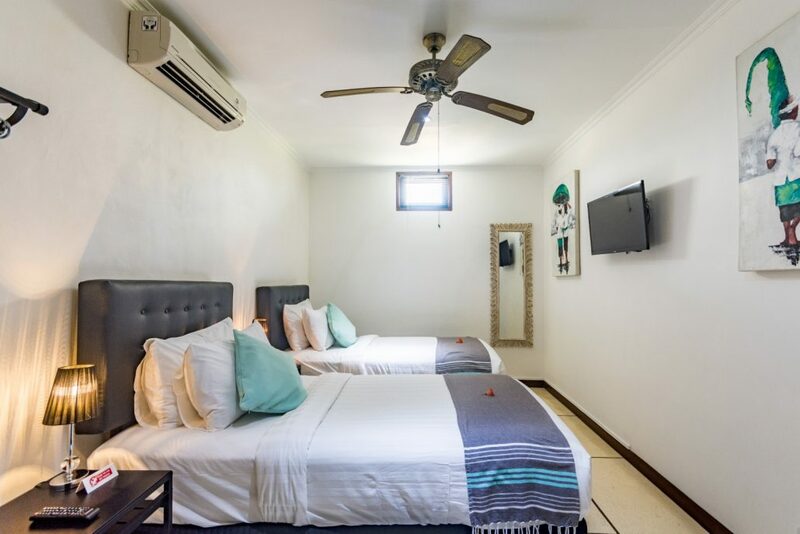 Ensconced in the tropical gardens on the other side of the swimming pool, the charming guesthouse is air conditioned and has a ceiling fan above a king-sized bed. There is an LCD television with 50 channels and a DVD player. 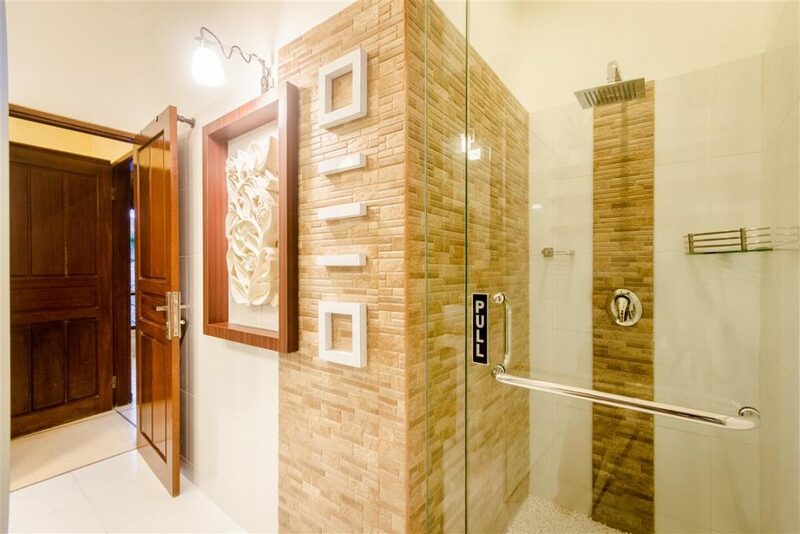 There is a separate large dressing area with wardrobe, safety deposit box and a bathroom with a separate outdoor shower with exclusive personal effects. 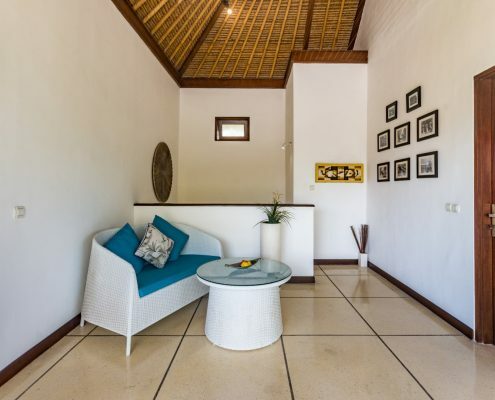 As with the balcony in the main building, the guesthouse has a terrace where one can laze on the outdoor recliners or poolside sunbeds enjoying the Balinese gardens. Very friendly staff and great accommodation. Stayed in villa Krishna. Special mention to Gede looked after us so well couldn’t do enough for us. 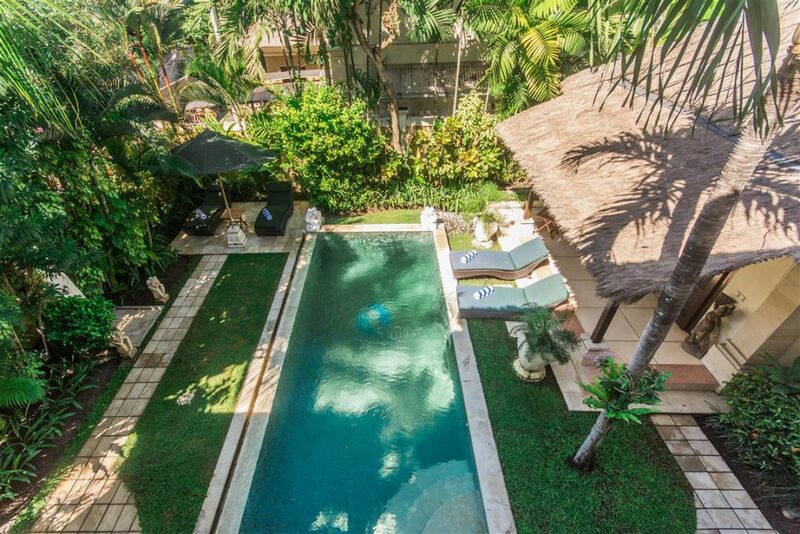 Great location was close to Seminyak square main strip and all the good restaurants. Would definitely return or recommend to family and friends. 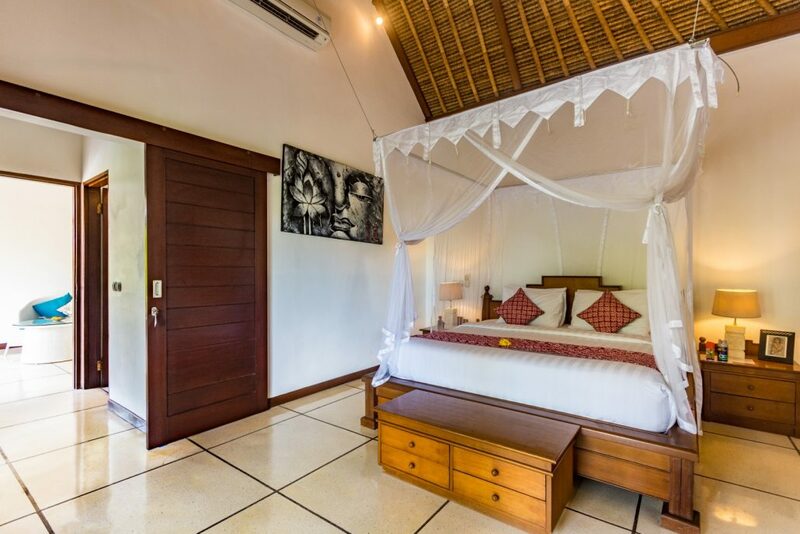 We stayed one week in Villa Krisna and found it extremely comfortable with everything you needed. The staff were on hand to help with anything you needed and were always very accommodating. 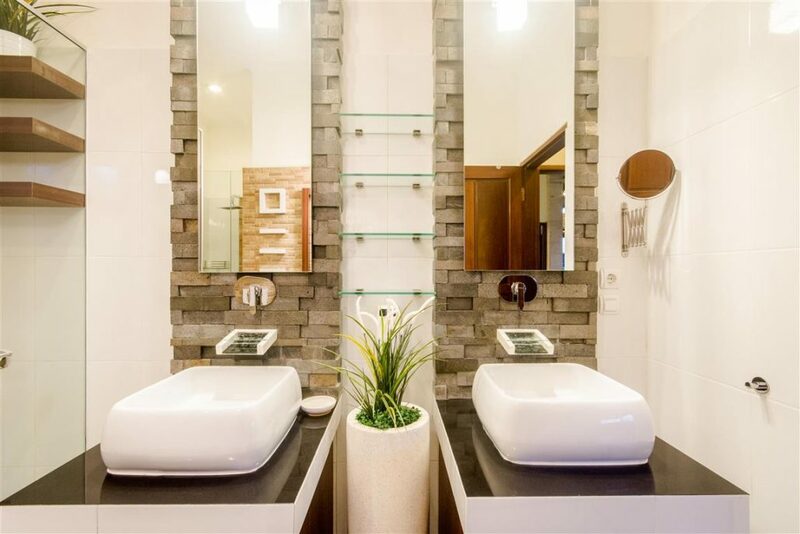 The villa is in a great location close to supermarkets, shops, money exchange and restaurants. 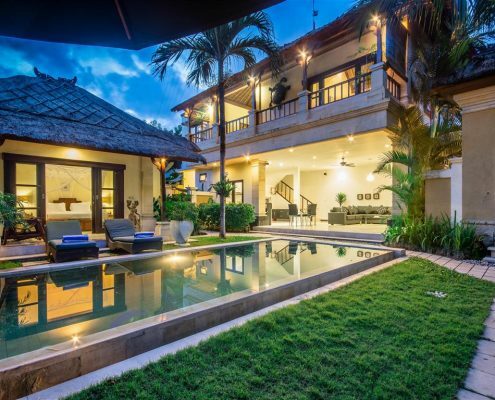 We would highly recommend this Villa to anyone who is staying in Seminyak. 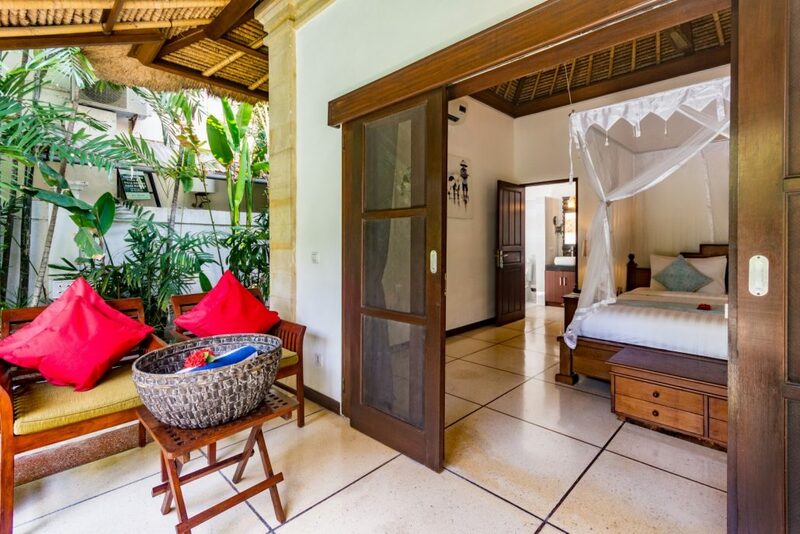 As returning visitors to Villa Bugis, Villa Krisna was perfect for our family. We stayed for 13 days. 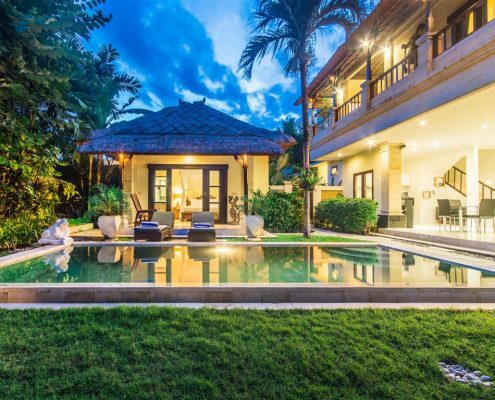 The villa is located just a short walk for Eat Street & was perfect with all the restaurants & shops. 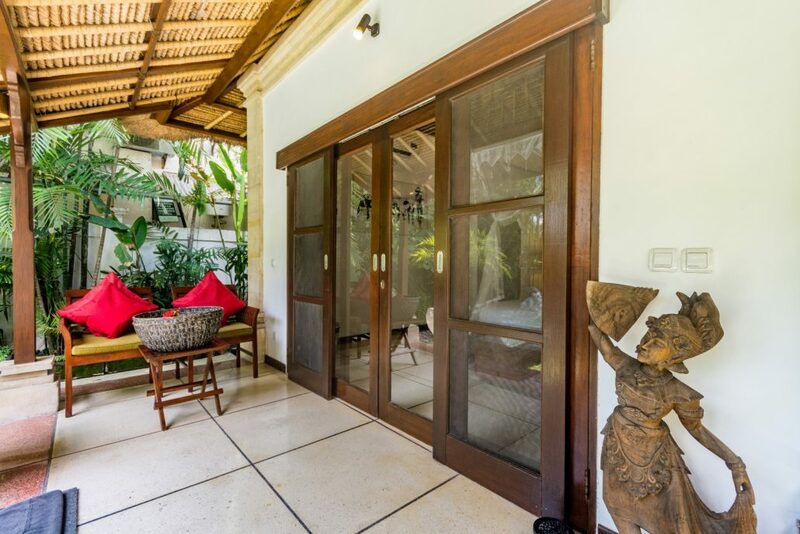 An easy 10 minute walk to Seminyak Square but when you think that it’s too close to the hustle & bustle, you get back “home” just shut the gate to the outside world & you have arrived in your own private paradise. The staff within Krisna were fabulous. Nothing was ever too much trouble. The breakfast, included in our booking is cooked for you every morning. Every evening we would select which breakfast we would like & the time that it would be served. There is plenty of options (American, Continental, Pancakes & Indonesian) served with a fruit platter, tea & coffee & juice. 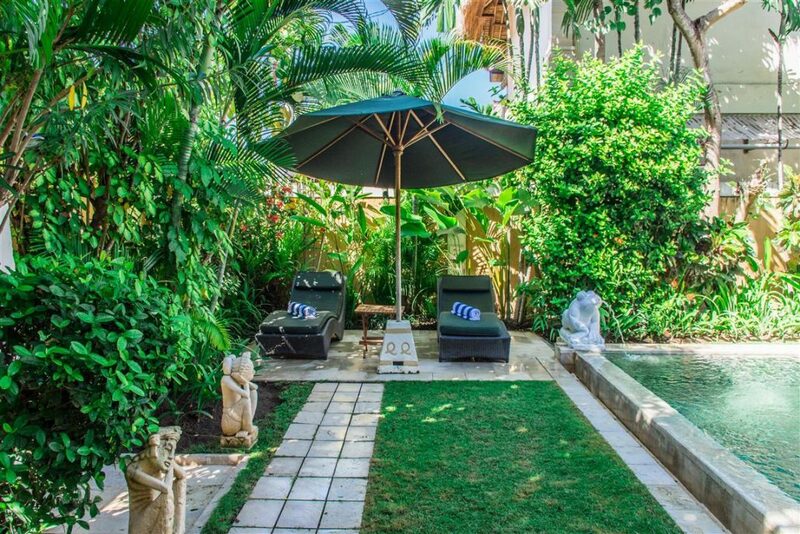 The private court yard & pool were immaculately cleaned every day. 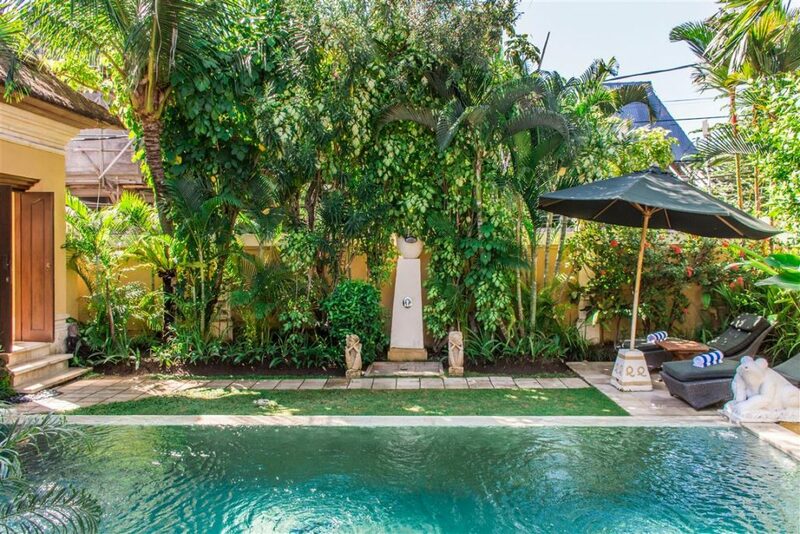 As we renewed our wedding vows during our holiday, & trying to organise from Australia I was so grateful when the staff in the Villa Bugis just said we can organise everything. Everything was confirmed via email and our wedding was perfect & we were so happy with the treatment we got from every staff member. We were treated like absolute royalty. 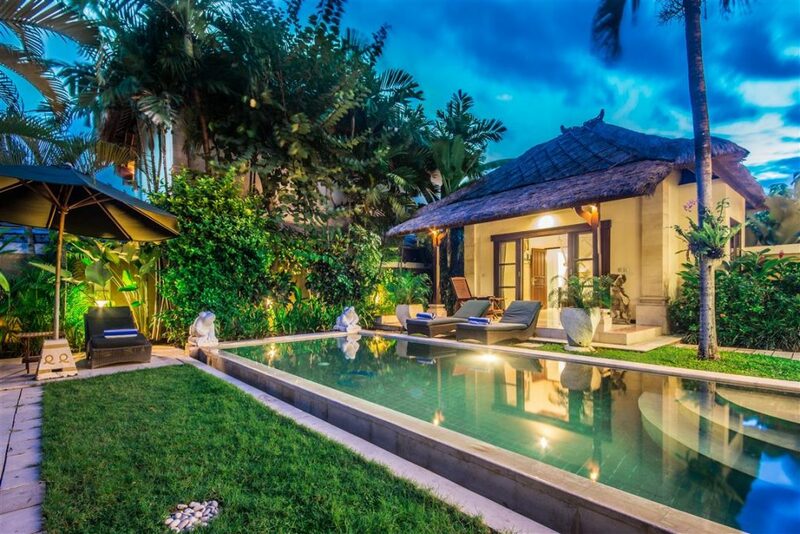 4 of us stayed at Villa Krisna at Seminyak. So close to one of the main entertainment streets. The staff were delightful. Any favor we asked they accepted. From bringing us alcohol to delivering food and even bottles of their body lotion…Breakfast was the best, once again what we asked for we received. Pool was a good size for 4 people. Air conditioned rooms worked perfectly. Security 24/7 right outside our door. Will visit again. 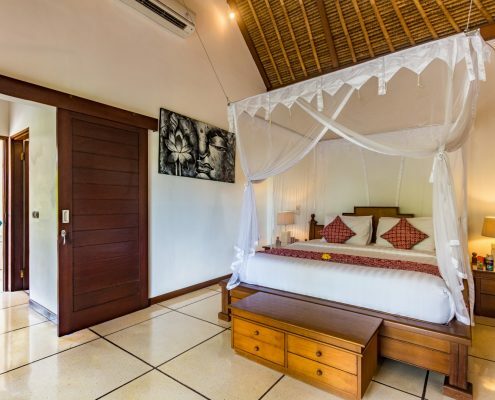 Absolutely brilliant, had a very relaxing and enjoyable stay at Villa Krisna. 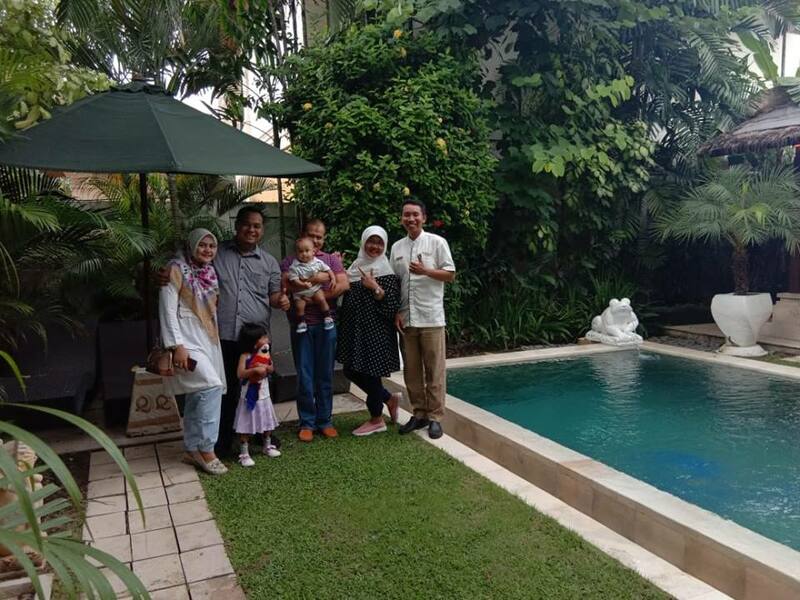 This is our 3rd visit to Villa Bugis (previously Villa Olive and Villa Gembira) all of them beautiful. From a location perspective this was perfectly placed. 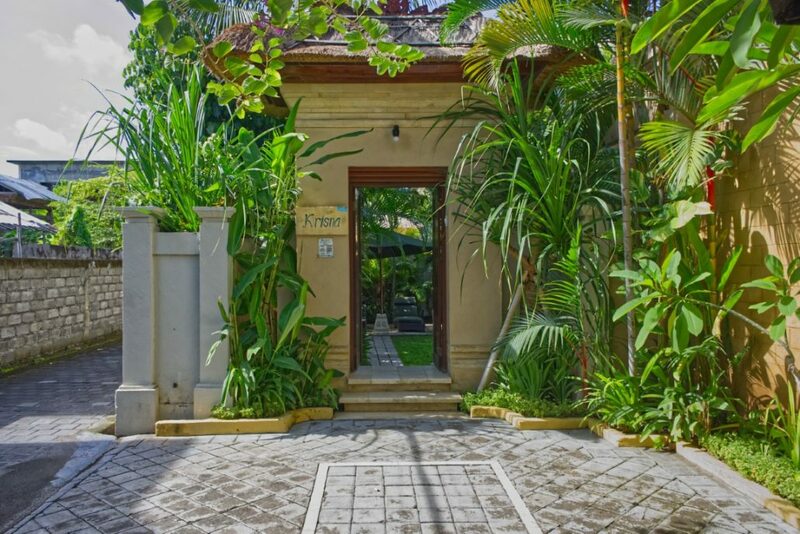 50 metres from Eat street and not far from Seminyak Square, very central if that is the area you want to explore. As always the staff are AMAZING. 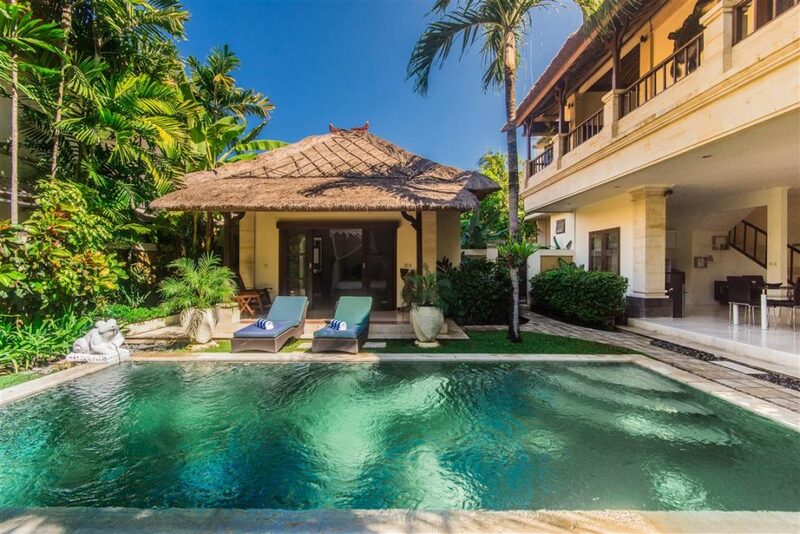 Thanks Villa Bugis you made us feel special on our holidays. Fantastic to be welcomed back by Villa Bugis Team for the second time! 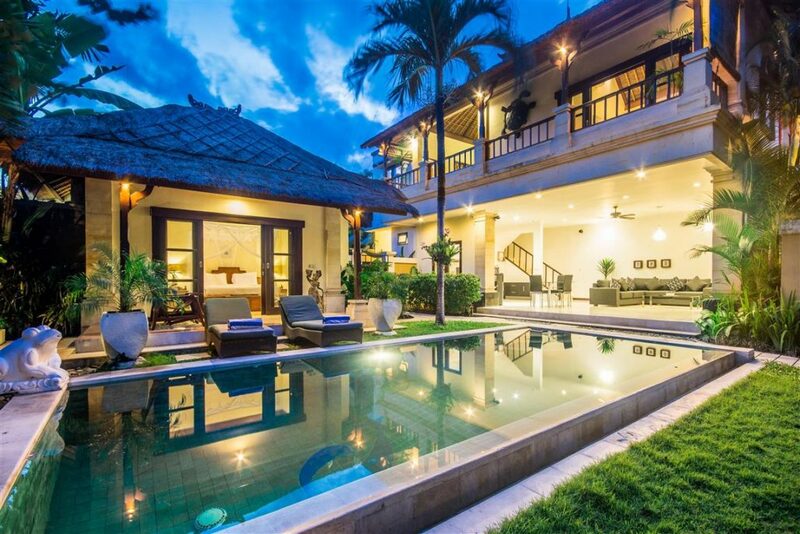 Villa Krisna was fantastic! 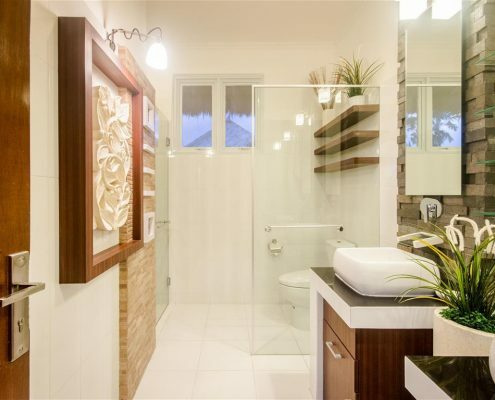 Great space and very central location and easy to get around. Huge thanks you to Wayan, Andy, Gede and all the staff who were fantastic and went above and beyond to make this trip so relaxing pleasant – and we will definitely be back again! Sensational!! My second time to Bali, and this time I enjoyed the trip with some friends who had booked it about 6 months ago. 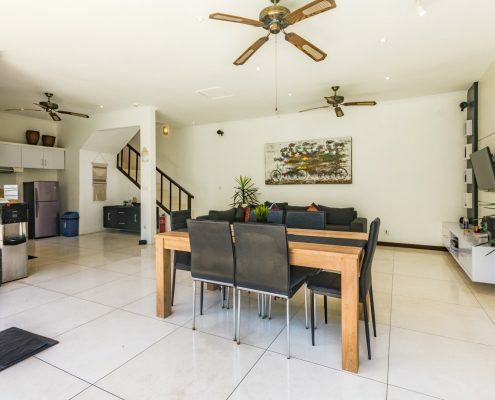 Very spacious grounds and great living/ eating area. 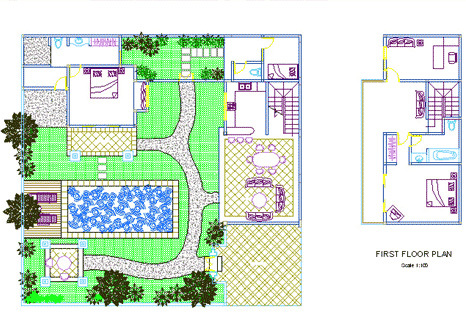 Good size bedrooms especially the master suite. 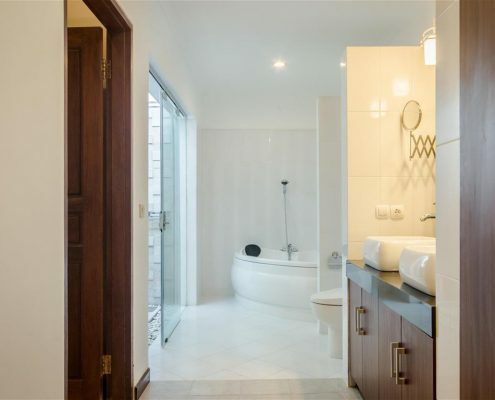 The management company also supplied a cooked breakfast each morning and housekeeping. At night they came and lit mozzie coils in the living areas which was a nice touch. For added piece of mind, a security guard is on duty 24/7 near the entrance. 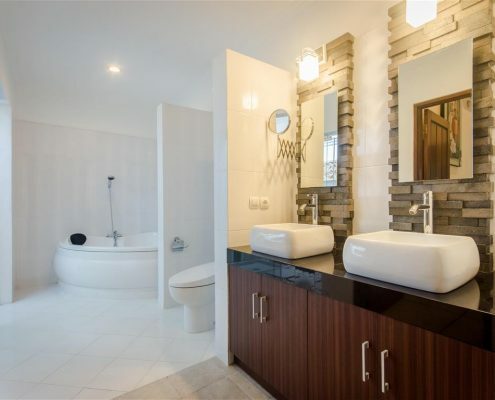 Very clean and tidy. We met the owner on the last day, who was about to repaint a few walls and re decorate with new and more appropriate furniture for the living room. Great access to Eat street and only 100 metres to the best food in Bali I believe. 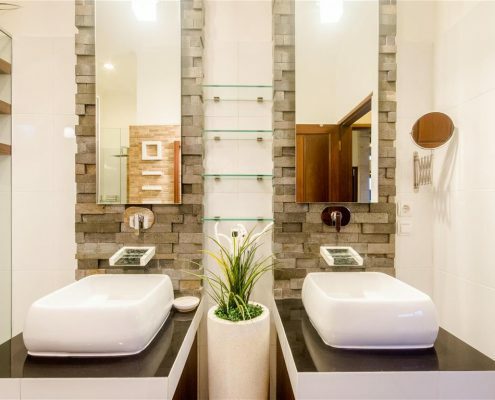 All the staff were very helpful and the service was 10/10. 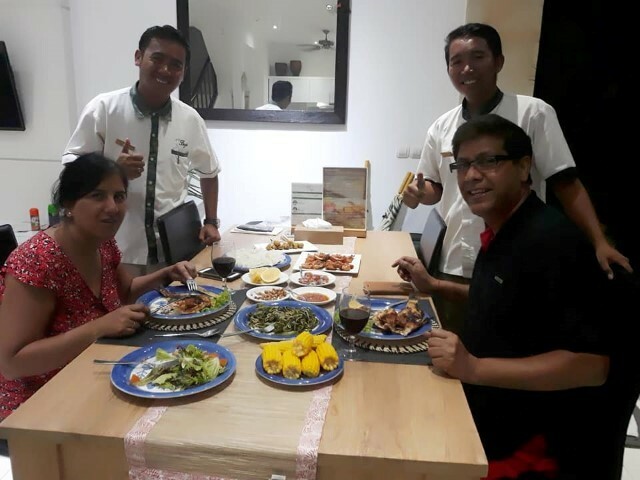 Special mention must go to Wayan, Gkai, Yulia Putui and Nyoman who excelled in customer service throughout the stay. We stayed here with friends (two other couples) and we were all very happy with the villa. 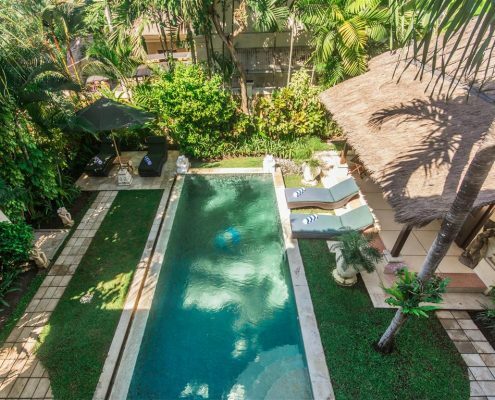 The location is fantastic, a short walk to some of Bali’s best restaurants and shopping, and not far from the beach. 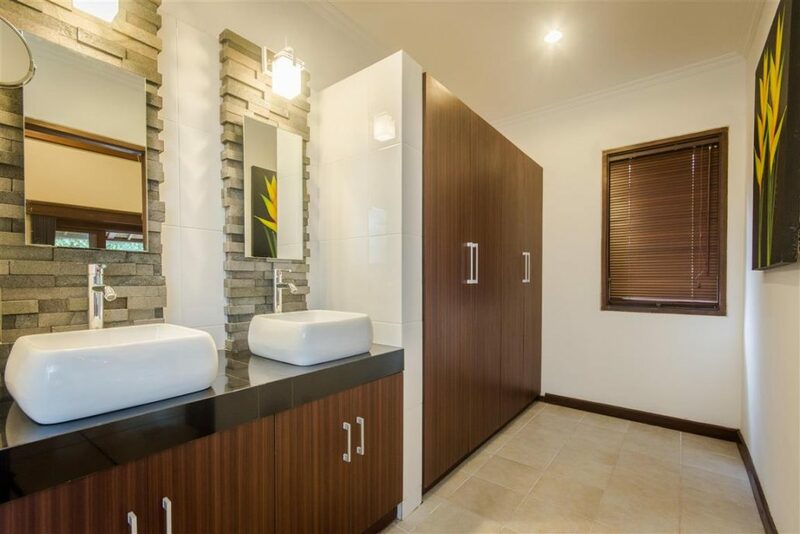 The bedrooms were immaculately clean and cool. The friendly staff were attentive and helpful. Will definitely consider staying here again. 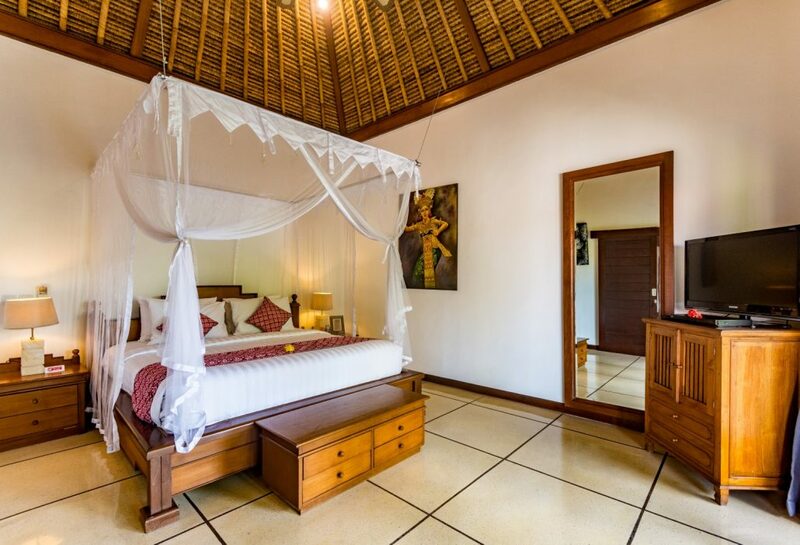 My husband & I loved our stay at Villa Krisna, the villa had all that we needed. 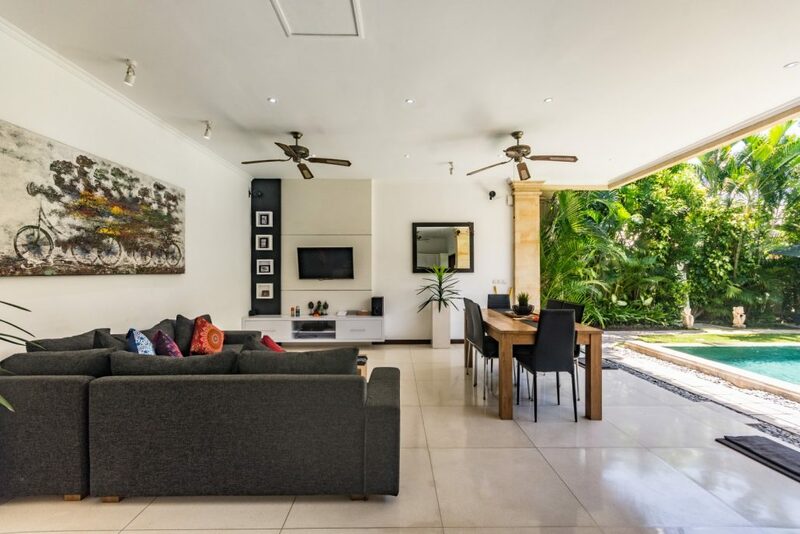 Very modern, clean, pool was great & Ekka and Wayan were wonderful cooking us great breakfasts with a vast choice of eggs, bacon, pancakes, omelettes all served with toast juice & fresh fruit couldn’t fault it. 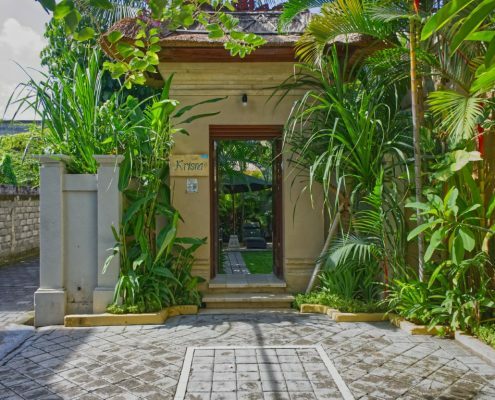 The villa is in a great position just a short walk down the lane to the main street with plenty of bars, shopping & lovely restaurants. 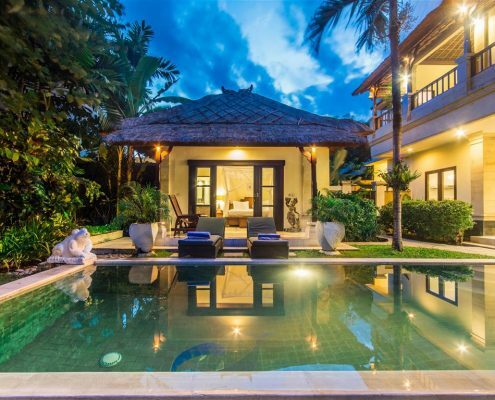 One minor negative is that only half the lane seemed well lit at night but our villa had security outside 24/7 which made you feel fairly safe but if I was a couple of girls on our own I wouldn’t have felt as safe. Definitely would be better with a little more lighting. We wanted to thank you so much for our stay at Villa Krisna. We loved the house and the staff who were so helpful and friendly. We will without a doubt come back again, and will recommend you to Everybody we know. 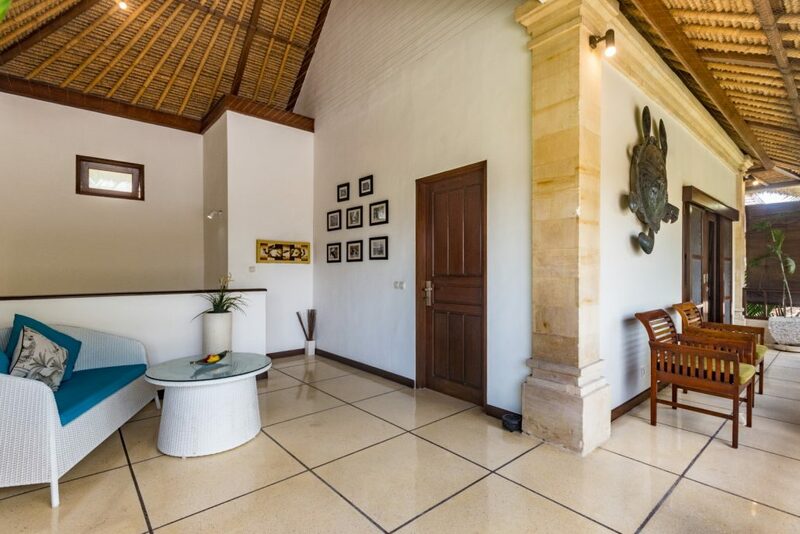 We have stayed at Villa Krisna before as we loved the spaciousness, comfort and location but this time we were even more delighted when we saw the obviously very new renovations. 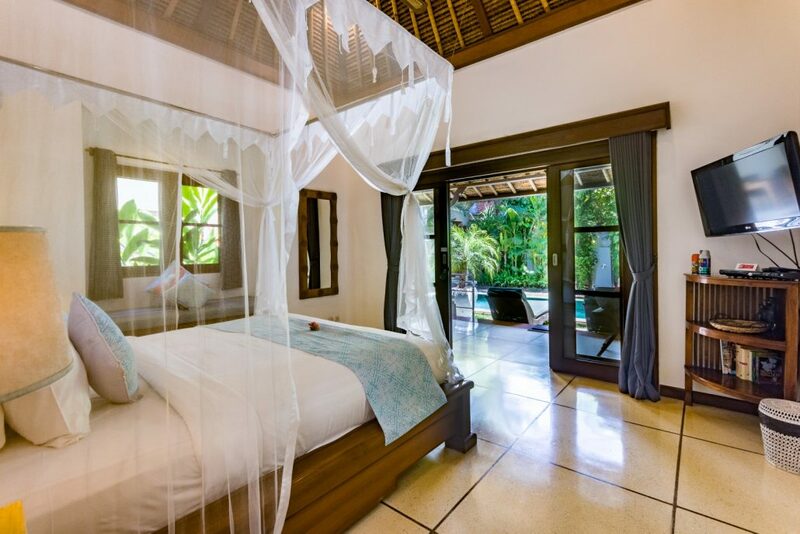 The villa has been redone so tastefully, modern yet retaining that Balinese charm we so love. 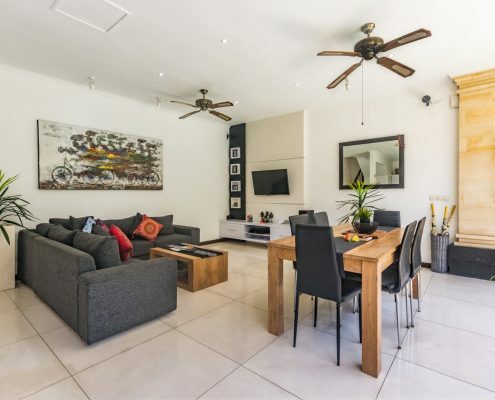 The living area and dining were immaculate with new furnishings and floor and the kitchen and bathrooms brand new. Though the dining is now for four people, the staff told us if there are two children then a larger dining setting is readily available. 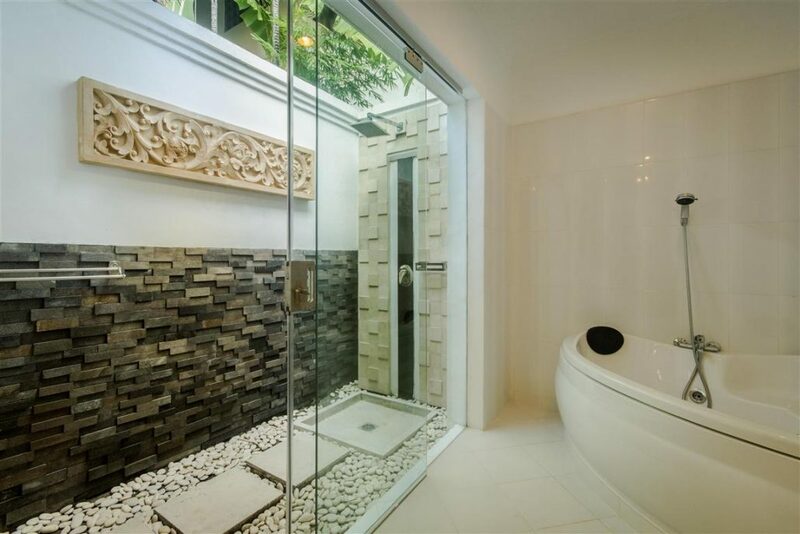 The bathrooms were just beautiful, one even has a jacuzzi and huge outdoor shower. 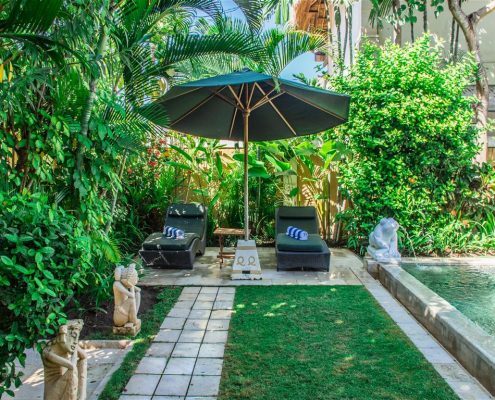 For two couples like we were this time, we had the privacy of separate sleeping buildings in the same lovely tropical gardens with our own sunbeds and a great big pool with shallow step down at one end and an outdoor garden shower. 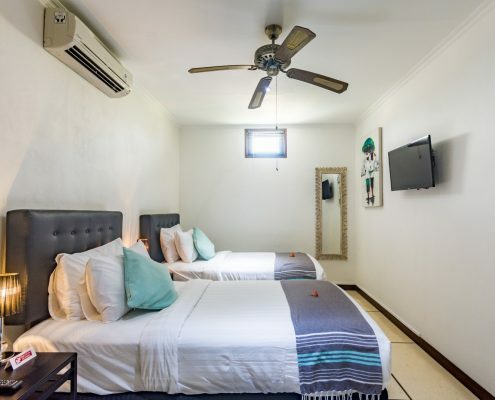 All the bedrooms have air conditioning and ceiling fans and the two larger bedrooms have safety deposit boxes, flat screen TVs and DVD players. 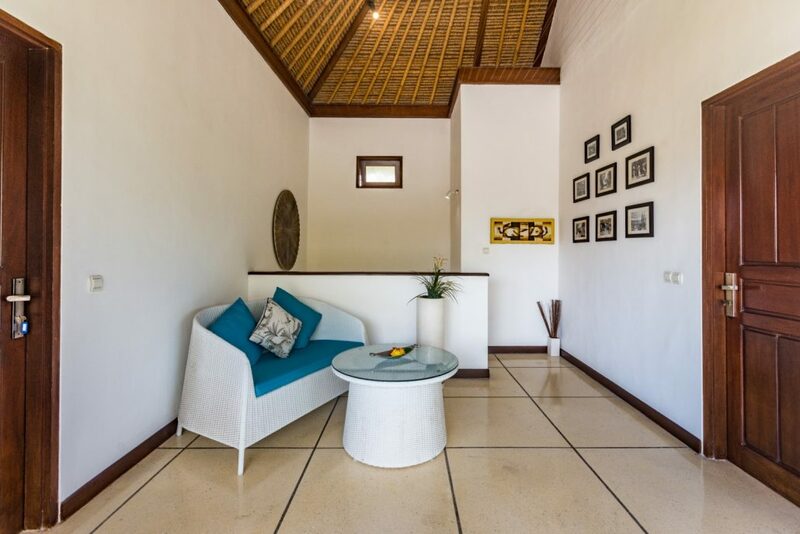 There is also free Wi-Fi throughout the villa. 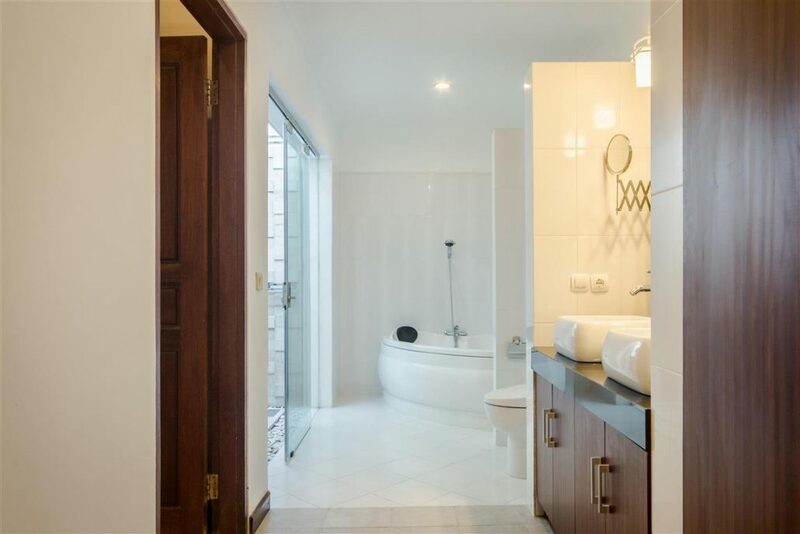 If I had to have one complaint it might be the stairs but to be honest the exercise was great and there is always the option of the downstairs bedroom that also has a king size bed. 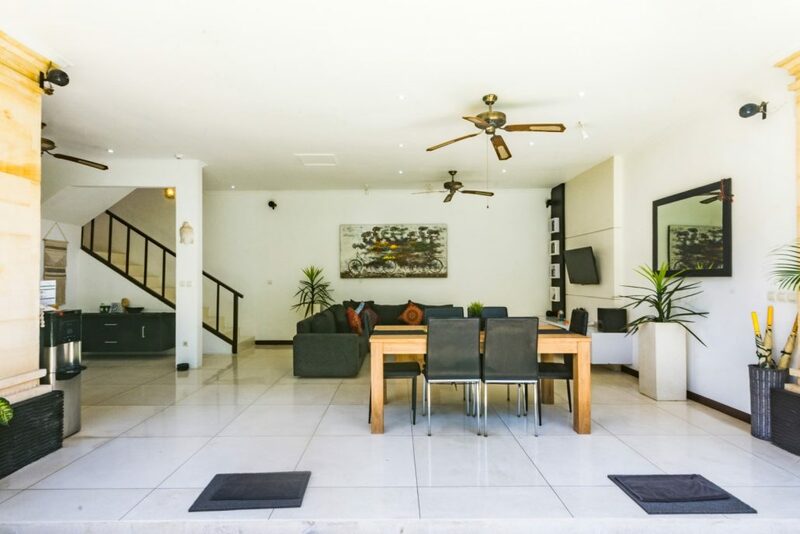 The villa has CCTV security camera and 24/7 security staff and is behind its own high walls so we felt safe at all times which is important to us. The staff were so friendly and couldn’t do enough. They will order dinner or get shopping. 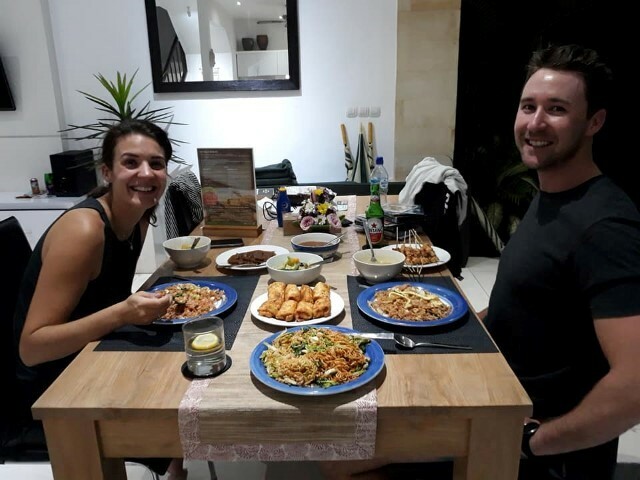 Some evenings when we wanted to just relax at the villa rather than go to a restaurant or cook, we ordered from ‘Hallo Restaurants’ just a quick phone call from the villa phone to order dinner from a huge choice of restaurants delivered hot to the door – they speak good English! Just google Hallo Bali as they have a website so you can choose which restaurant and dish before ordering. We had free breakfast served in the villa each morning overlooking the gardens and pool. The staff came in each day to clean at a time suitable to us. A staff member returned each evening to see if we needed anything and to light the mossie coils. 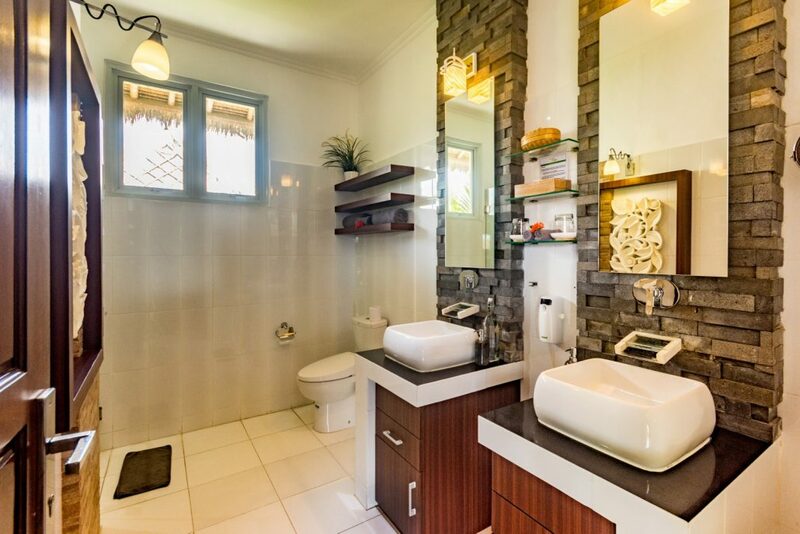 I can honestly say we never had a problem with mosquitoes and I understand the staff also treat the villa periodically for mosquito prevention. We have stayed at this villa as a couple, two couples and also with our son, his wife and two children aged 3 and 4. This worked great and the kids had a ball. 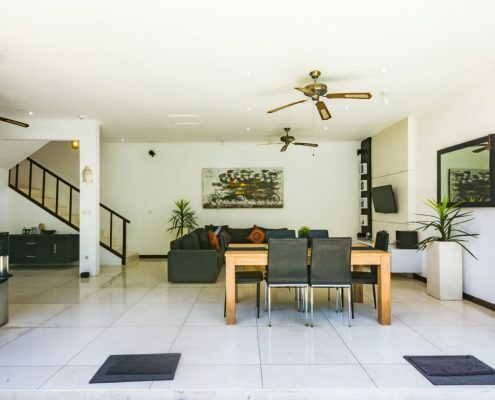 There is a third bedroom with two beds upstairs adjacent to the parents’ bedroom across a beautiful breeze catching balcony where I loved to sit with a coffee. 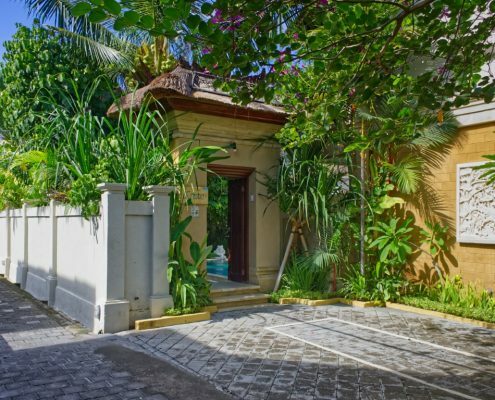 The villa is down a lane-way so away from the hustle and bustle of famous ‘Eat Street’ yet it is only a couple of minutes walk to get to the fantastic array of restaurants and shops. We just loved coming back to the villa after a day out to jump into the pool, cool down and relax. 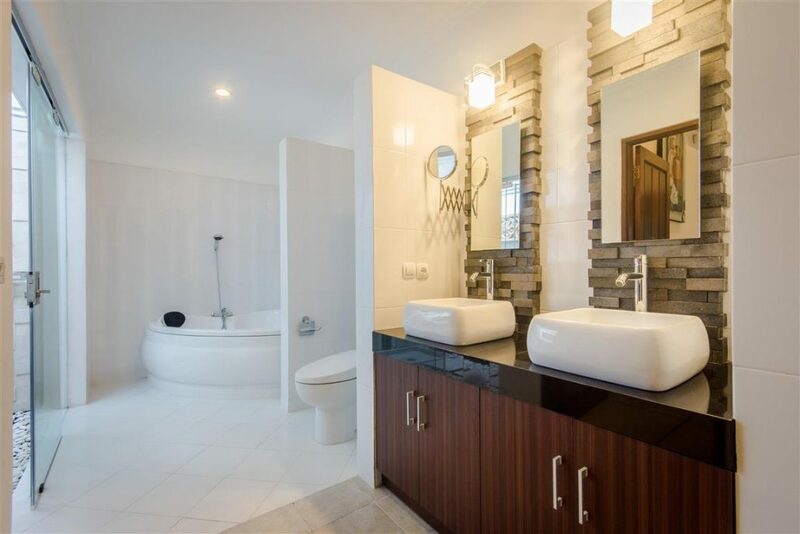 Congratulations to all involved in this lovely villa. 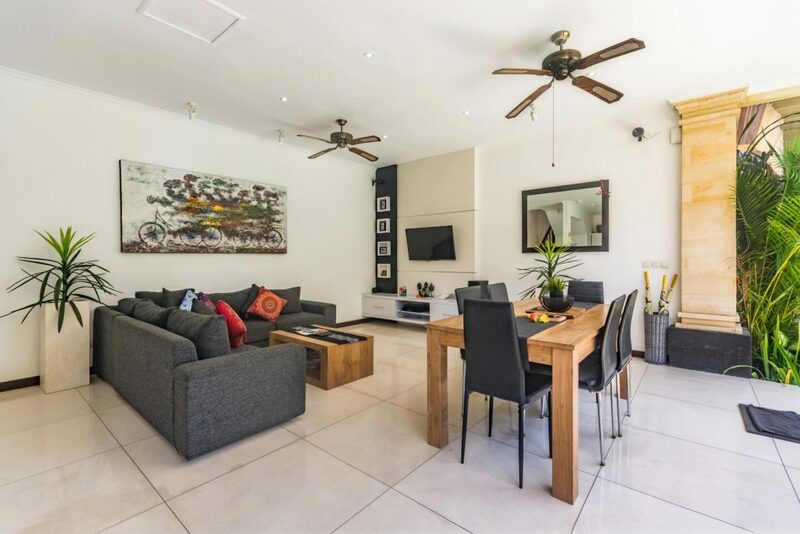 We found it stylish, clean, spacious and just what we want in a totally carefree holiday. Well done Villa Krisna and staff. We look forward to returning soon. 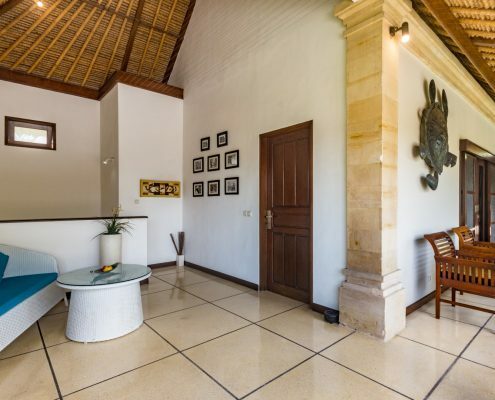 We have stayed at Villa Krisna several times now over a few years. 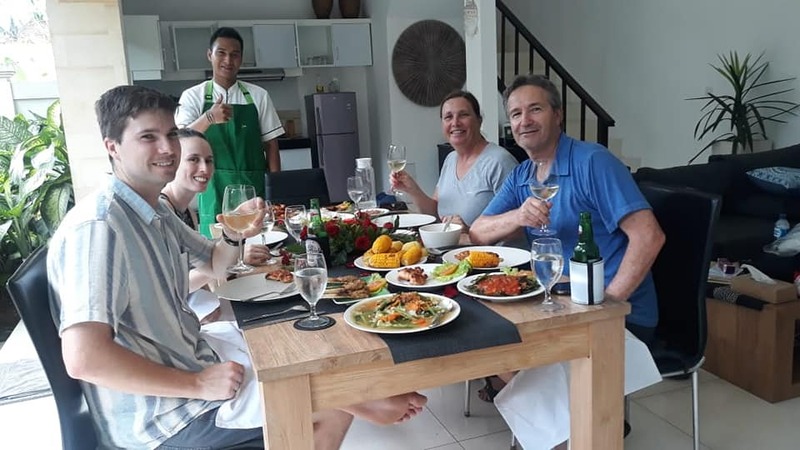 We have gone from a couple to a small family and villa krisna, its staff (ketut you are fantastic) and its location are still winners for us. The team are more than happy to organise anything we need, even helping out when my daughter got sick. 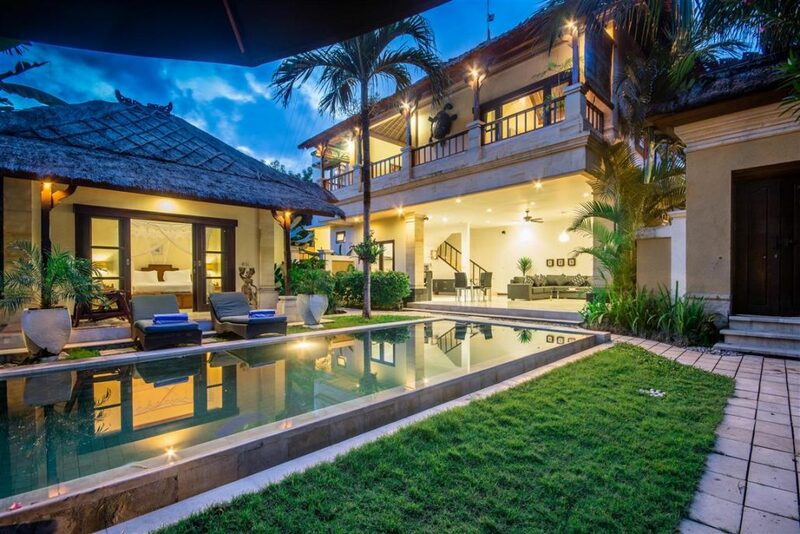 The location is right off ‘Eat Street” so we have easy access to the main areas of Seminyak, yet its still quiet enough for a lovely family holiday. My son yells out ‘Pagi” to all of the staff and they all shout back to him so happily every morning. We are already planning our next visit. 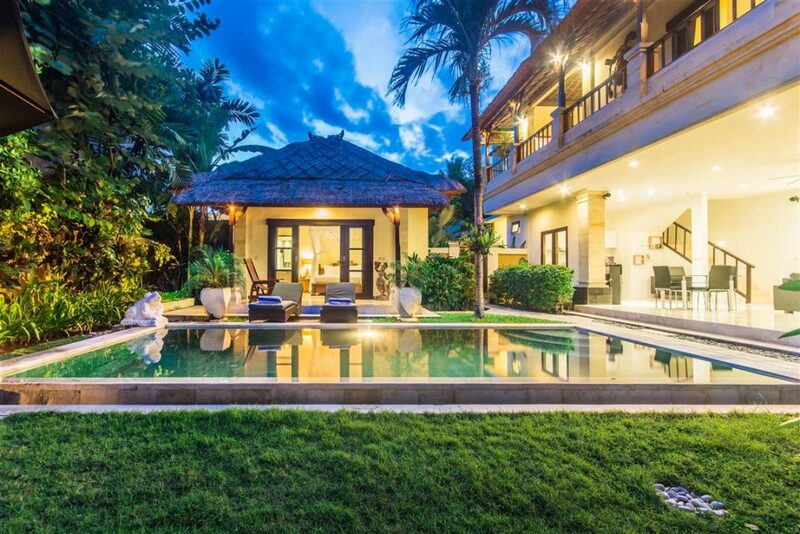 My sister-in-law & I have just enjoyed a wonderful 5 night stay in this luxurious 3 bedroom villa. 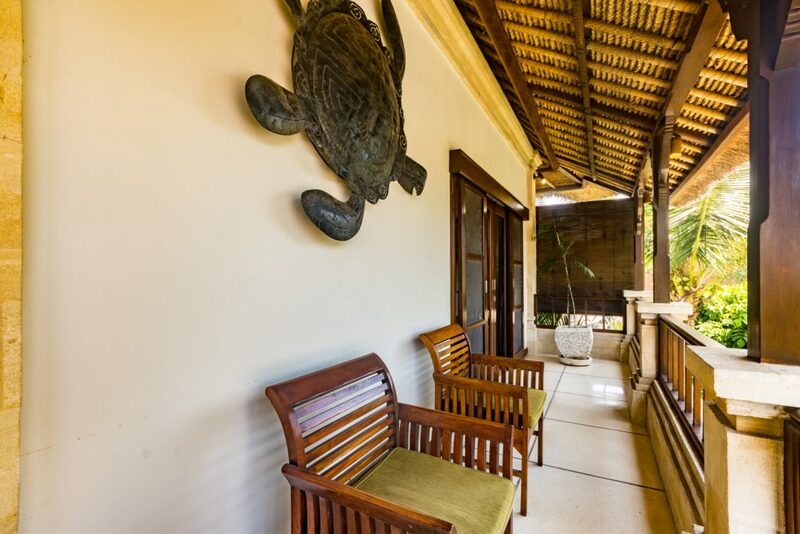 It is in a brilliant location-a short walk to the beach at Ku de Ta & about 150 m from Oberoi Rd where there are numerous fabulous restaurants & shops. The staff at the villa were delightful & the omelettes & fruit salad at breakfast were lovely. 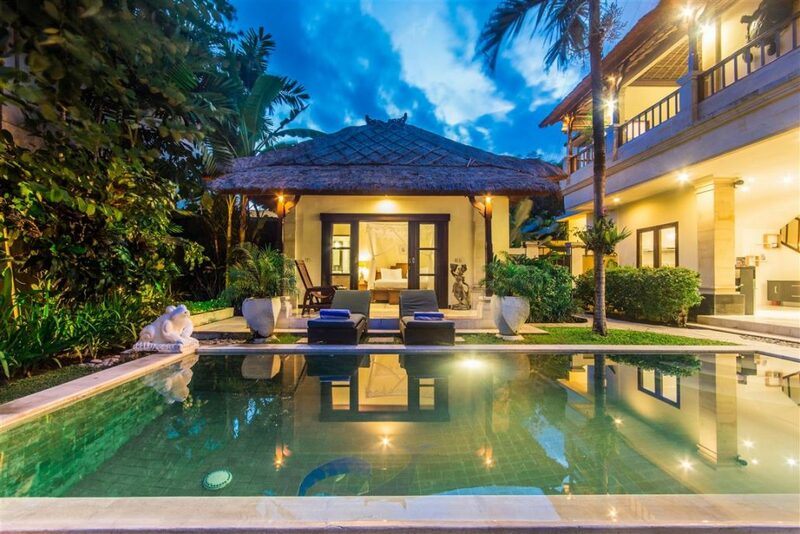 Our stay at villa krisna was delightful. The standards of service, meals and security were high and it always felt like a pleasure to return to the villa. Also the location is terrific! Everything at our doorstep, we never waited more than 15 seconds for a taxi!! 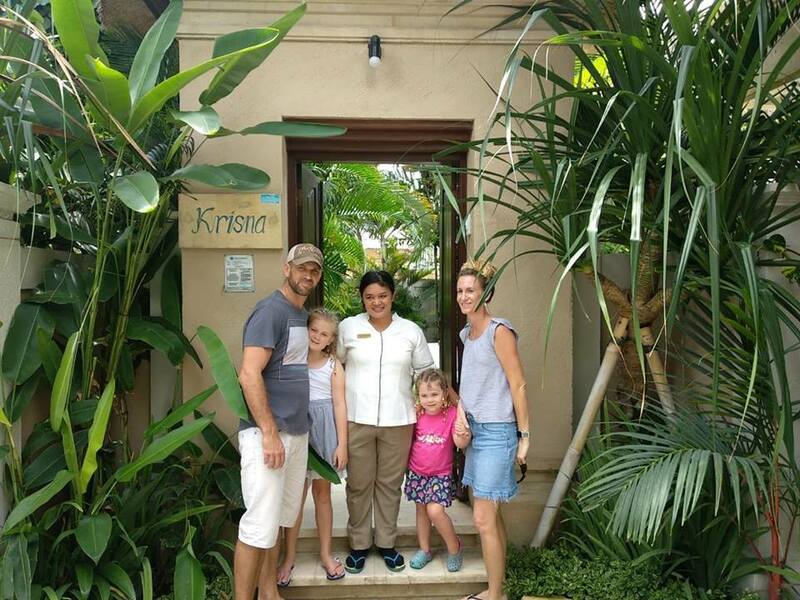 Thank you for a great week at villa Krisna..! All staff were excellent, very helpful, hard working and reliable. 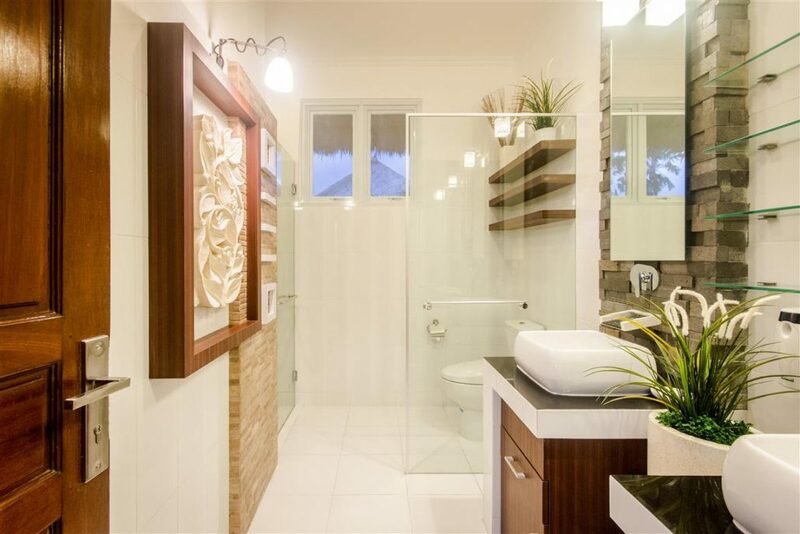 The villas were clean and comfortable and in a great location. * mosquitos in pool-side villa were quite bad. * no mention of construction next door when booking, was quite noisy all day. 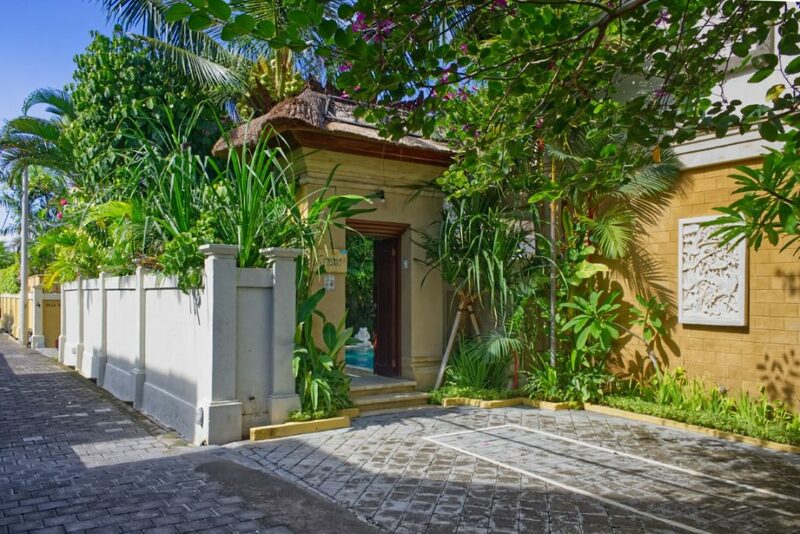 * noisy pump or generator between kitchen and pool villa (comes on often). * wifi/internet wasn’t reliable. Strong near gate but very slow/weak in rest of villa. Great stay for open air enjoyment. 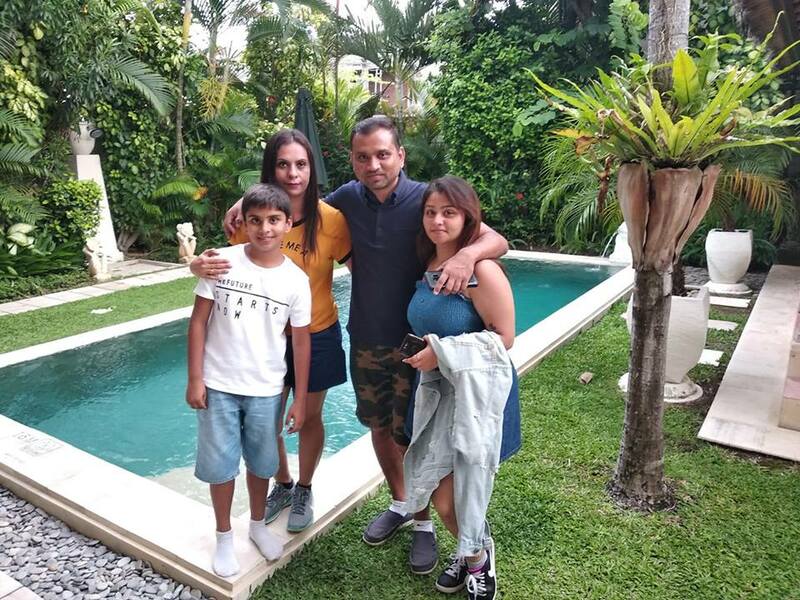 Enjoyed our stay – very relaxing and nice to come back to our oasis. The staff were lovely, helpful and it was nice having our breakfast cooked each morning. The villa was very clean and safe. 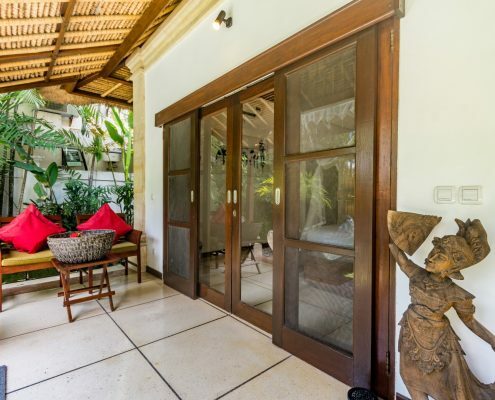 We were also close to facilities, Seminyak Square and restaurants. The water pump broke on the last day but we were given access to another villa for showers. Special thanks to Putu and Nyoman. This is our second stay at Villa Bugis. 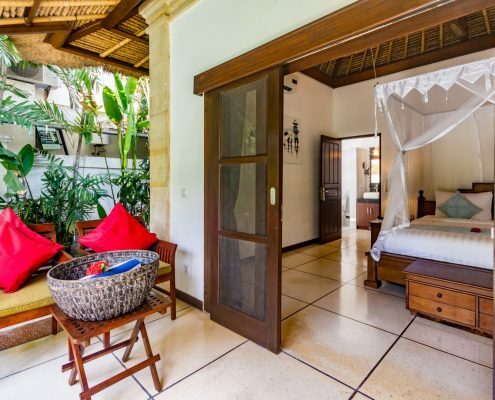 We stayed in Villa Krisna for both our stays. The staff are lovely and helped us with any bookings we needed to make. Awesome location, right across the road from Ultimo and Rumours on Eat Street.